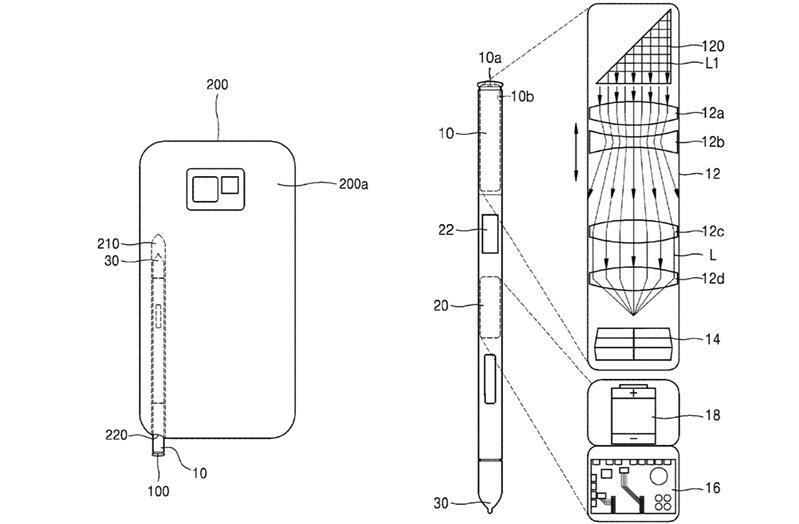 In a recent patent, granted on February 5, Samsung details a new type of wireless camera built into a stylus, bearing no small resemblance to the Galaxy Note’s famous S Pen. Various designs are put forward in the patent documentation, including some with lenses that see lengthways straight out of the tip and others which first bend incoming light through ninety degrees via a prism. 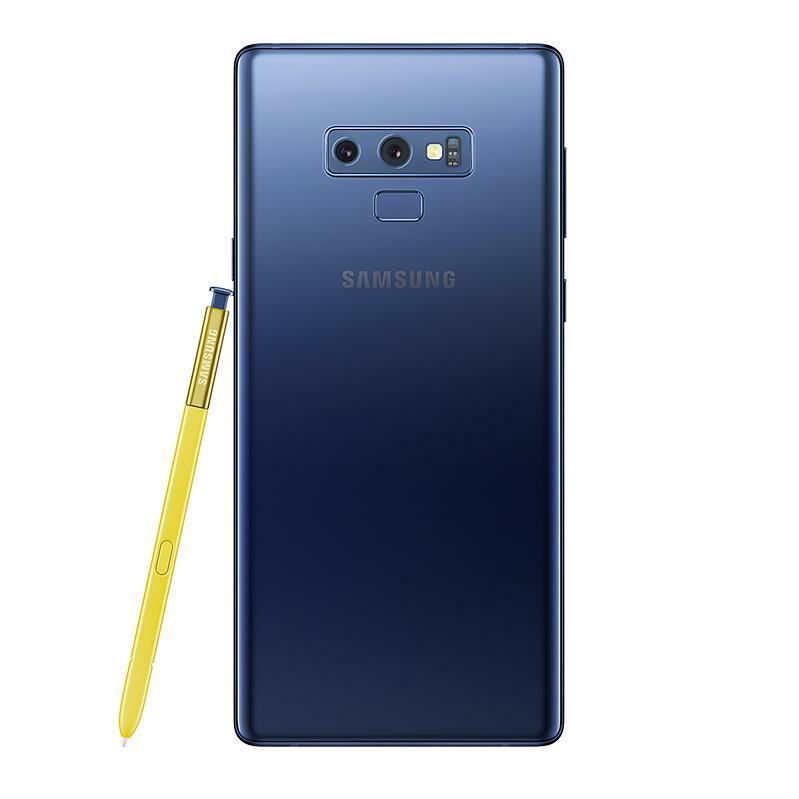 What makes the Samsung design particularly interesting is the inclusion of an optical zoom lens, allowing you to hone in on distant subjects without the loss of quality inherent in digital zoom solutions typically found in smartphone cameras. Optical zoom lenses depend on moving parts which necessarily take rather a lot of space (think of an extending telescope emerging from your phone and you’ll get the idea why this is so tricky. ), A stylus, however, is already somewhat telescope-shaped and therefore better poised to house those moving lenses within the shaft. Then, of course, there are all those paranoia-inducing spy pen scenarios which will be either advantageous or disadvantageous depending on your point of view. There Are Also Disadvantages I can also see a few disadvantages to this idea, not least of which will be the cost of such a device, coupled with how easy it will be to lose or drop the stylus camera. Taking a selfie also becomes a two-handed operation if you have no way of supporting the stylus while you take the photo. I would expect some sort of pop-up mechanism to be required for this scenario, where the stylus remains partially inside the handset. This news comes hot on the heels of Samsung’s reported acquisition of technologies designed to fit optical zoom lenses sideways within the smartphone itself.